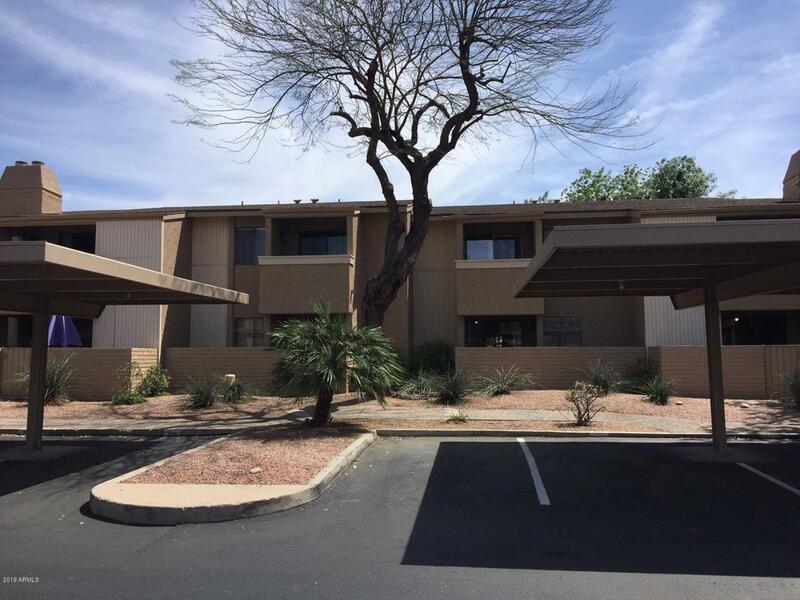 ONLY UNIT CURRENTLY FOR SALE IN THE COMPLEX! 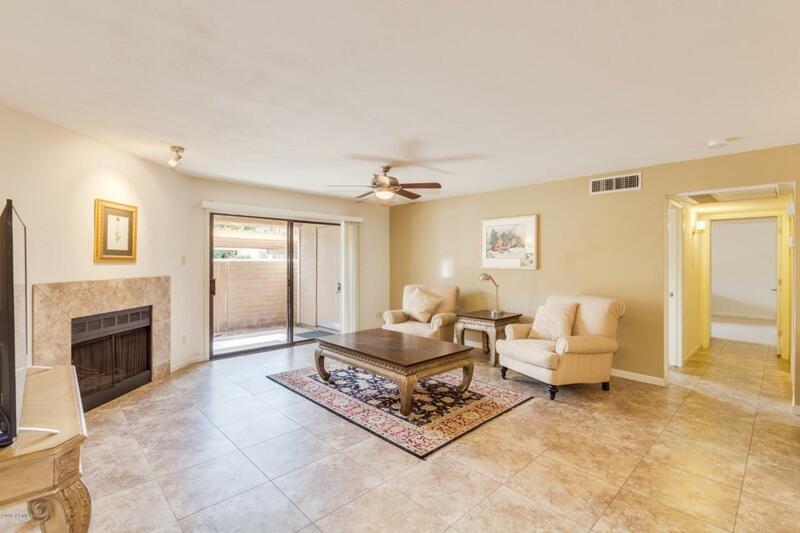 Fabulous 1ST floor single level condo in the HEART of Scottsdale. 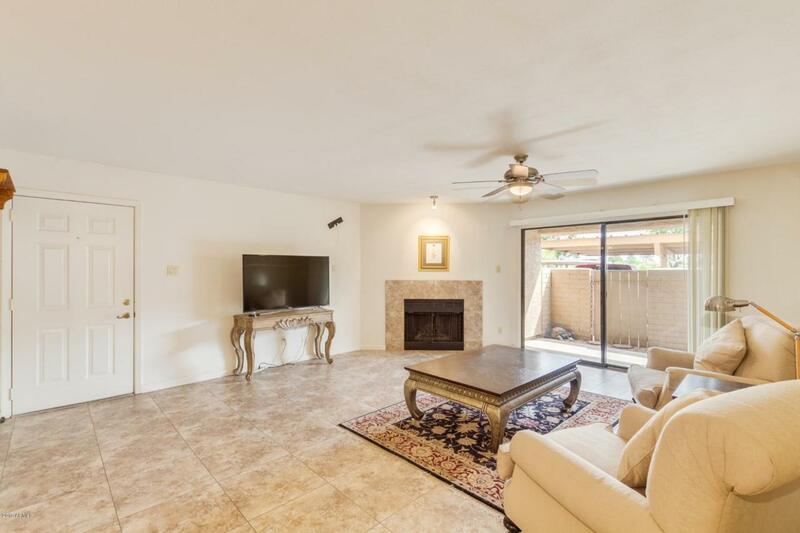 Updated kitchen and baths with tons of auto close cabinets, like new appliances, granite. All int doors upgraded, front door has security steel screen. Stack W/D. FIREPLACE in LR. Huge master walk in closet. Carpet in both bedrms. Two private patios, one with a storage closet. Assigned parking right in front of unit. Indian Bend green belt across the parking lot, dog park across the street as well as Chaparral Park. 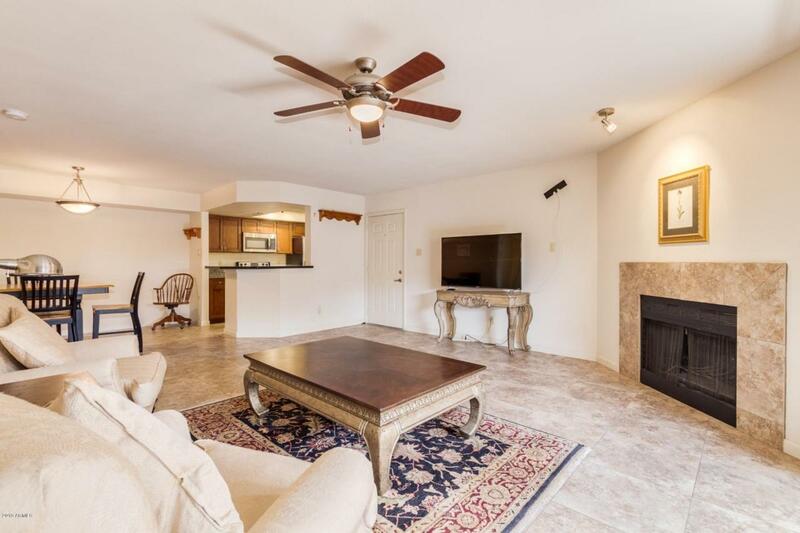 Surrounded by bike and walking paths, restaurants, spring training, so close to old town Scottsdale. You pay electric ONLY, all else included. Safe, quiet and well maintained complex with lush landscaping in common areas. This unit close to spa, pool, BBQ area.